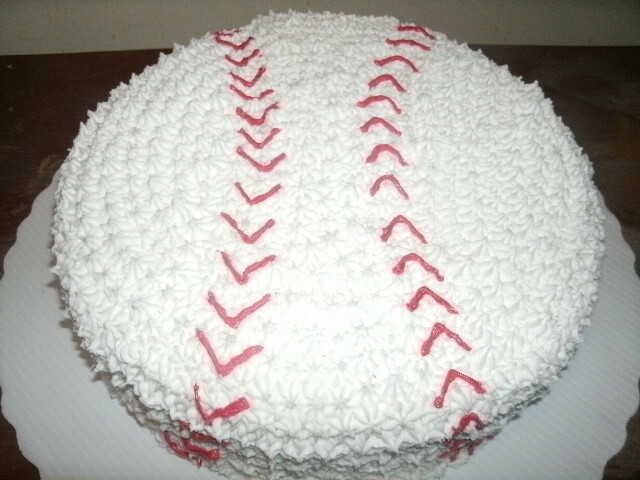 Made this cake for a sports party. with a star tip and white frosting cover the cake. with a round tip make V shapes like the seam of the baseball.